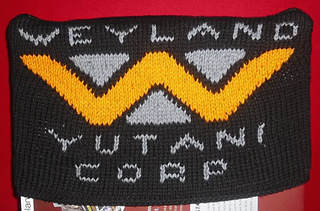 Ravelry: Alien Pillow "Weyland Yutani" pattern by Andrea "Trooperschaf"
Alien Pillow "Weyland Yutani" by Andrea "Trooperschaf"
> Alien Pillow "Weyland Yutani"
This is a chart I whipped up for the Logo of the Weyland Yutani Corporation from the “Alien”-Franchise. 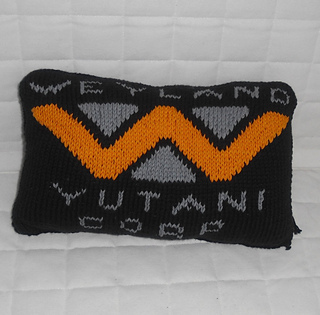 I used it to make a small, knit pillowcase, but you can use it as you like. It is only a chart, so there is not much to say about it :) Enjoy!